After being fired from his job, Bimbo buys a chipper van and goes into business with his best mate – will the friendship survive the pressure? 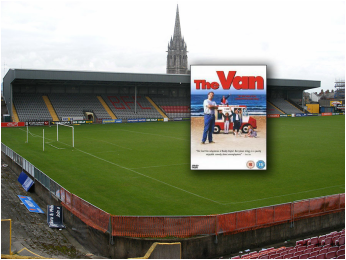 Roddy Doyle's The Van brought to life on The Big Screen in Dalymount Park. The Home of Irish Soccer. Fiver Flick €5 on the gate.